We are unanimously appreciated for offering GMP Certification Services to our valued customers. These services are offered as per the diverse needs and requirements of the customers. We ensure to offer these services with concerned authentications and formalities so as to stand tall on the expectations of the customers. Moreover, these services are rendered within the prescribed time frame in order to cater to the divergent demands of the clients. We offer GMP Certification services in Delhi, India. We are GMP Certification Services , which provide services in different part of India from Delhi, Mumbai, Kolkata & Chennai. GMP (Good Manufacturing Practices) is set of practices for manufacturing business. GMP standard was originated in Europe & has become very popular worldwide in due course of time. There are different GMP standards developed by different governments & organisations but all are similar. These all GMP standards addresses some common issues which are : Sanitation, Hygiene & maintenance. CDG is a world leader in compliance certification. We provide gmp certification services in India & overseas. Our GMP compliance certification is recognised worldwide. Good manufacturing practice" or "GMP" is required being adapted in the manufacturing of pharmaceuticals or drugs, active pharmaceutical ingredients, diagnostics, foods and medical devices. 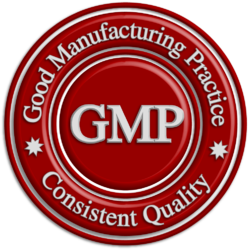 GMPs are guidance that outlines the aspects of production and testing that can impact the quality of a product. Many countries have regulatory requirements that Pharmaceutical and Medical Device companies must follow GMP procedures, and have created their own GMP guidelines that correspond with their legislation. CDG provides tailored solutions to all kinds of GMP compliance issues. With extensive experience of the GMP certification process, our regulatory experts will provide all the support you need to achieve GMP excellence. We will visit your site and perform an audit to determine where you need to improve your processes, documentation, and operations. We have experienced people able to perform GMP Audit Readiness/GMP GAP assessments for your facility against GMP requirements. We are also able to offer assistance in correcting any deficiencies found. GMP compliance is viewed today as an essential baseline of food safety for food packers, processors manufacturers, and greenhouses. WHO Good manufacturing practice (GMP) is a system for ensuring that products are consistently produced and controlled according to quality standards. It is designed to minimize the risks involved in any pharmaceutical production that cannot be eliminated through testing the final product. The main risks are: unexpected contamination of products, causing damage to health or even death; incorrect labels on containers, which could mean that patients receive the wrong medicine; insufficient or too much active ingredient, resulting in ineffective treatment or adverse effects. WHO GMP covers all aspects of production; from the starting materials, premises and equipment to the training and personal hygiene of staff. Detailed, written procedures are essential for each process that could affect the quality of the finished product. There must be systems to provide documented proof that correct procedures are consistently followed at each step in the manufacturing process - every time a product is made. A good manufacturing practice (GMP) is a production and testing practice that helps to ensure a quality product. Many countries have legislated that pharmaceutical and medical device companies must follow GMP procedures, and have created their own GMP guidelines that correspond with their legislation. Basic concepts of all of these guidelines remain more or less similar to the ultimate goals of safeguarding the health of the patient as well as producing good quality medicine, medical devices or active pharmaceutical products. Good Manufacturing Practices (GMP) certification from CDG certification ltd. ensures the integrity of your food manufacturing process as well as your compliance with food safety regulations. Assurance of the safety and quality of food is an important consideration for consumers today. A GMP is an important enhancement to your food safety management system, which increases your customers’ confidence in your commitment to trading and producing safe, high quality food. A Good Manufacturing Practices (GMP) certification scheme provides independent verification and certification that the basic manufacturing practices. GMP regulations address issues including record keeping, personnel qualifications, sanitation, cleanliness, equipment verification, process validation, and complaint handling. Most GMP requirements are very general and open-ended, allowing each manufacturer to decide individually how to best implement the necessary controls. This provides much flexibility, but also requires that the manufacturer interpret the requirements in a manner which makes sense for each individual business. Good manufacturing practice (GMP) is part of a quality system covering the manufacture and testing of active pharmaceutical ingredients, diagnostics, foods, pharmaceutical products and medical devices. 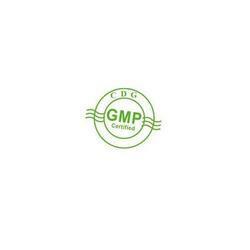 GMP Certification confirms the products identity, composition, quality, purity and strength which they represent in the market. Under it, there is a set of guidelines that offer a system of procedures and documentation by which the confirmation of the products are given. Our organization is a foremost name in the industry, engaged in offering a wide assortment of GMP Registration Services to our clients. Our offered services are highly appreciated by clients for their low cost and accurate results. Also, these services are rendered by employing highly experienced team members. Further, these services are offered at very reasonable rates. Good Manufacturing Practice (GMP) is a system for ensuring that products are consistently produced and controlled according to quality standards. It is designed to minimize the risks involved in any pharmaceutical production that cannot be eliminated through testing the final product. Good manufacturing practices (GMP) are the practices required in order to conform to the guidelines recommended by agencies that control authorization and licensing for manufacture and sale of food, drug products, and active pharmaceutical products. These guidelines provide minimum requirements that a pharmaceutical or a food product manufacturer must meet to assure that the products are of high quality and do not pose any risk to the consumer or public. A GMP is a system for ensuring that products are consistently produced and controlled according to quality standards. GMP covers all aspects of production from the starting materials, premises and equipment to the training and personal hygiene of staff. Detailed, written procedures are essential for each process that could affect the quality of the finished product. 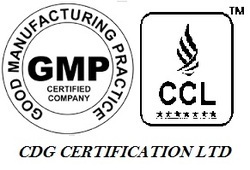 CDG provides GMP certification services in India. GMP ensures best practices of hygeine & safety during manufacturing. CDG is a leading GMP compliance certification provider in India. We offering a wide range of GMP Certification Services. 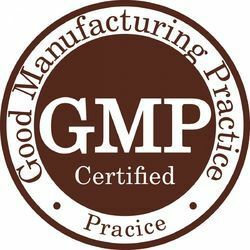 Good manufacturing practice GMP is required being adopted in the manufacturing of pharmaceuticals or drugs, active pharmaceutical ingredients, diagnostics, foods and medical devices. GMPs are guidance that outlines the aspects of production and testing that can impact the quality of a product. GMP refers to the Good Manufacturing Practice Regulations. GMP certification is granted to manufacturing or service systems of organisations to certify that they engage with good manufacturing practices in their manufacturing or service processes, according to a Standard Code of Practice related to their business. Good manufacturing practice (GMP) is part of a quality system covering the manufacture and testing of active pharmaceutical ingredients, diagnostics, foods, pharmaceutical products and medical devices. GMP Certification confirms the products identity, composition, quality, purity and strength which they represent in the market. Under it, there is a set of guidelines that offer a system of procedures and documentation by which the confirmation of the products are given. Good manufacturing practice (GMP) is that part of quality assurance which ensures that products are consistently produced and controlled to the quality standards appropriate to their intended use and as required by the marketing authorization. GMP is aimed primarily at diminishing the risks inherent in any pharmaceutical production, which may broadly be categorized in two groups; cross contamination/mix-ups and false labelling. Above all, manufacturers must not place patients at risk due to inadequate safety, quality or efficacy; for this reason, risk assessment has come to play an important role in WHO quality assurance guidelines. Good manufacturing practice (GMP) is a system for ensuring that products are consistently produced and controlled according to quality standards. It is designed to minimize the risks involved in any pharmaceutical production that cannot be eliminated through testing the final product. The main risks are: unexpected contamination of products, causing damage to health or even death; incorrect labels on containers, which could mean that patients receive the wrong medicine; insufficient or too much active ingredient, resulting in ineffective treatment or adverse effects. GMP covers all aspects of production; from the starting materials, premises and equipment to the training and personal hygiene of staff. Detailed, written procedures are essential for each process that could affect the quality of the finished product. There must be systems to provide documented proof that correct procedures are consistently followed at each step in the manufacturing process - every time a product is made. A Good Manufacturing Practices (GMP) certification scheme provides independent verification and certification that the basic manufacturing practices and prerequisites necessary for the implementation of an effective Hazard Analysis Critical Control Point (HACCP) food safety programme are being followed.